Jeff Gladstone has performed on stages across Canada including Bard on the Beach, Arts Club, Vancouver Playhouse, Belfry Theatre, Theatre Calgary, Prairie Theatre Exchange and many more. 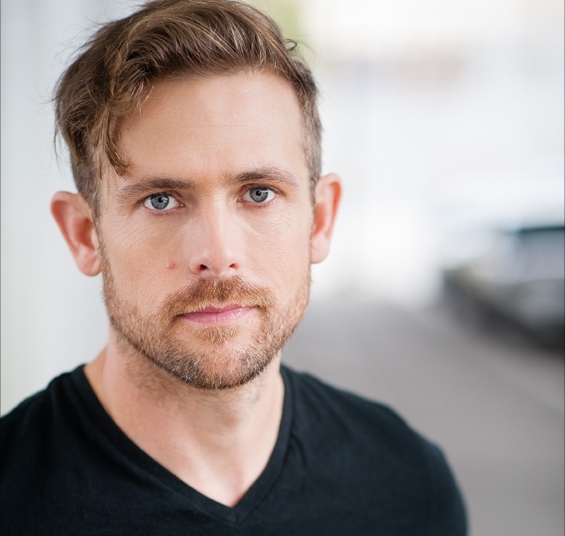 Jeff got his start in Calgary where he learned improv with Keith Johnstone, and is a teacher and ensemble member with Vancouver TheatreSports League. Film & television credits include iZombie, Motive, Second Chance, and the upcoming feature Drawing Home. A three time Jessie nominee, Jeff recently played Cassio in Othello and Dionyza in Pericles at Bard on the Beach, performed with Colin Mochrie at The Vogue, and produced the celebrated podcast The Life Game on CBC Radio. Jeff is playing the role of Clarke in Les Filles du Roi. Tell me about the character you play in Les Filles du Roi. Clarke is an English spy entrenched in the French camp. He is masquerading as Joseph Toussaint, a French trader. What is most compelling about this character? What is most challenging? It's so much fun to play a spy - a character who presents themselves as something that isn't quite what or who they are. Clarke has secret objectives that drive everything he does, and is hiding something from everyone. It's always a great challenge to take on an unsavory character, find their charm and expose their vulnerability. What are you looking forward to as you begin this process? It's a rich and complex story, rooted in our nation’s history, specifically the parts of it that some people would rather forget. Plus, the music is gorgeous. How long have you been involved in the creation process of this show? This is my first time working with the Les Filles du Roi script, although I've worked with the team on other projects. I wrote Out Like Flynn for Fugue Theatre 8 years ago, which was the first musical ever commissioned by the company. Out Like Flynn was about Hollywood actor Errol Flynn’s famed last night in Vancouver in 1959. I wrote and composed it over two years, and it was nominated for the award for outstanding original script at the 2008 Jessie Awards. Laura Di Cicco produced and performed in that show, and Julie McIsaac also performed in it. Corey Payette and I worked on a murder mystery show I wrote for the Wrecking Ball Cabaret at the Vogue Theatre in 2011. The in-concert presentation of Les Filles du Roi takes place November 4 & 5, 7pm at the Orpheum Annex. Admission is free. Click here for Facebook event.